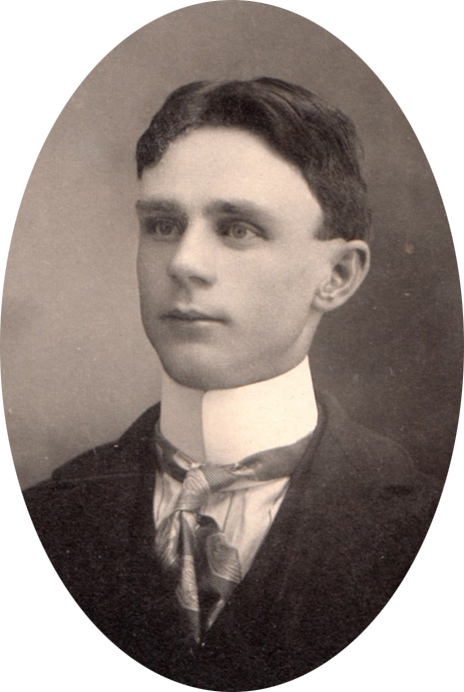 Orley Frank Claybourn was born on 4 January 1877 in Jefferson County, Illinois. Orley was the only boy with six sisters and was greatly loved by them all. When he was about two years old, his life was saved by his sister Norah. Orley had fallen into a spring at the place where they were living in Farrington Township and Norah, who was only three years older, caught hold of his clothes and pulled him out. No adults were near at the time. Orley started working when he was 16 by helping the custodian at the west side school in Mt. Vernon. He worked for a while at the foundry of the Car Manufacturing Co., but suffered bad burns on his feet there. 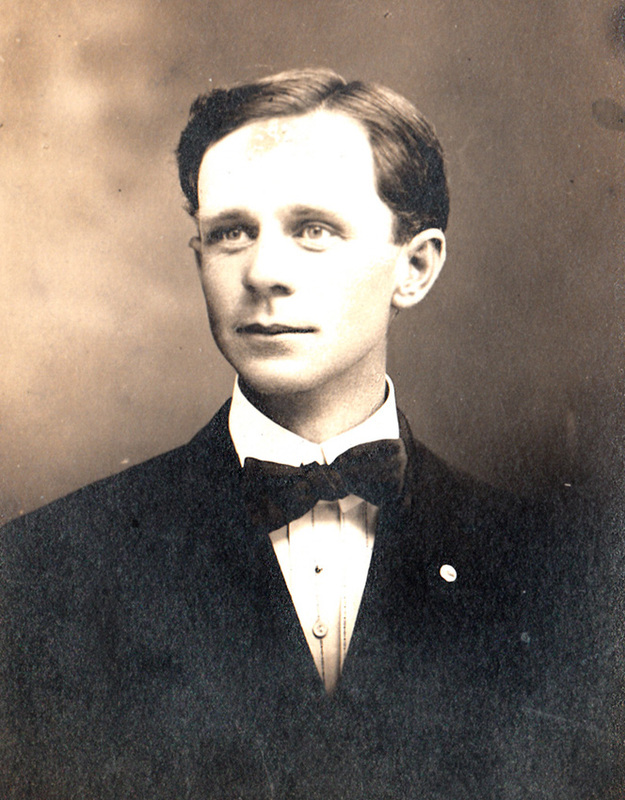 In 1896, when he was 19, he began working as a fireman for the Louisville & Nashville (L&N) Railroad in Mt. Vernon. 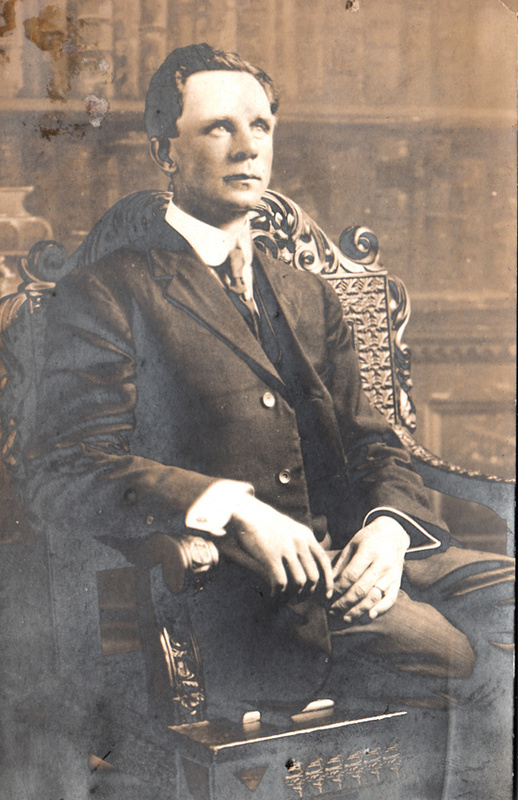 In 1901 he advanced to engineer, then passenger engineer, and was transferred to Howell, a neighborhood community of Evansville, Indiana. 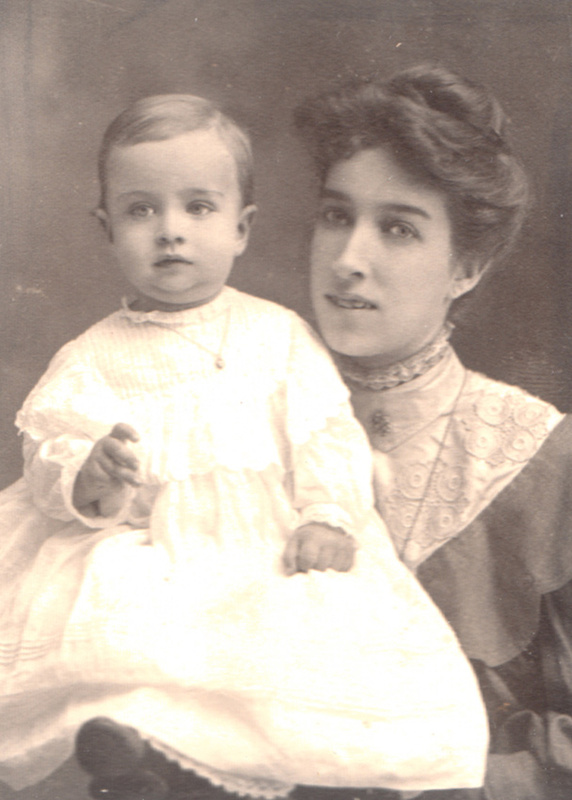 Orley’s wife, Jennie Mae Wene, was born on 25 November 1884 to William Wene and Mattie Stull in Nashville, Tennessee. Jennie’s father, William Wene, was a conductor on the L&N Railroad and worked at its station in Howell. Jennie attended Daniel Wertz School in Howell around 1895, but her father was eventually transferred to Nashville, and with him the family. Jennie finished her schooling there and graduated from Hume-Fogg High School in Nashville in 1904. After graduating Jennie returned to Howell where she met Orley and the two married on 5 July 1905. 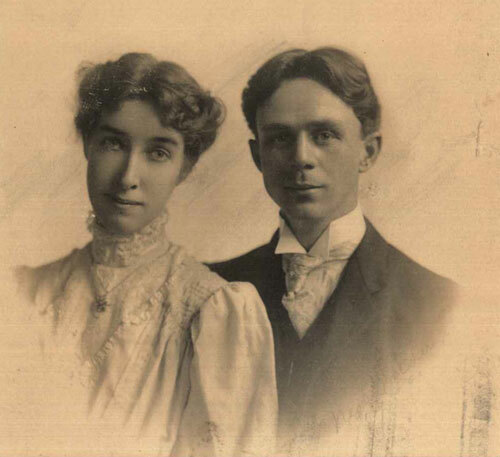 About the same time the couple began attending Howell Methodist Episcopal Church (later Howell United Methodist Church), along with numerous other Claybourns, including Orley’s two sisters Alma Crowder and Lena Heggy. Orley served on the church’s Official Board (as Chairman, among other things), President of the Brotherhood, and was on the building committee when the new church was built. Orley’s name can still be seen etched on the cornerstone of the church’s historic building. 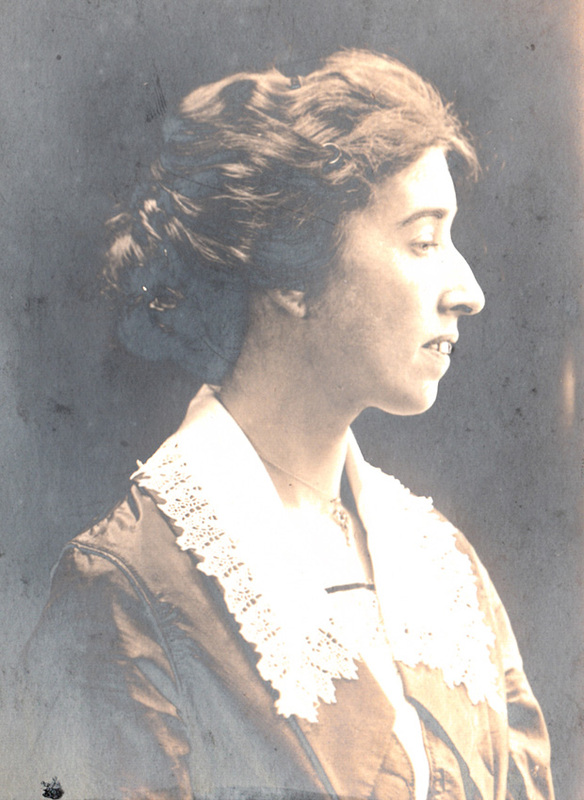 Jennie was a member of the Dorcas Society and often helped cook at church dinners. For the bulk of their lives Orley and Jennie lived at 1615 Delmar Ave. in Evansville, Indiana. Orley’s job with the railroad required him to take part in regular “runs” where he would only be home every other day. He was a very formal man who was usually dressed up. While most railroad workers and engineers would typically wear bib overalls, Orley would wear coveralls with a white shirt and bow tie underneath. Similarly, Jennie Mae was, in the words of her daughter-in-law Betty Jean Morrow, “always a lady.” Indeed, Jennie had such a penchent for living an upright and dignified life that she indicated to fellow chruch members that as a middle-aged woman she was too refined to have intimate relations with her husband. So when she did end up getting pregnant with her second son at the age of 40, she briefly moved back to Nashville to give birth to him. Orley loved people, loved to talk to them, and was always a pleasant and friendly man. When he came to Mt. Vernon to visit family, he always called on his lifelong friend, Roy Rutherford, for whom he named his older son. Roy’s family had been friends of the Claybourns for three generations. Orley belonged to Reed Lodge No. 316 of Free & Accepted Masons, was a Knight’s Templar, and a member of the Hadi Shrine Temple. He was also first president of the L&N Railroad Veteran’s Club. Orley died of pneumonia on 22 December 1938 and is buried in Oakwood Cemetery. He had worked for the same railroad for a total of 42 years. Jennie outlived him by nearly seventeen years and died on 25 August 1955. She too is buried in Oakwood Cemetery.